Sunday April 14,2019- Former Sports and Culture Cabinet Secretary, Rashid Echesa, has revealed that he attended adult school with Mombasa Governor Hassan Joho. 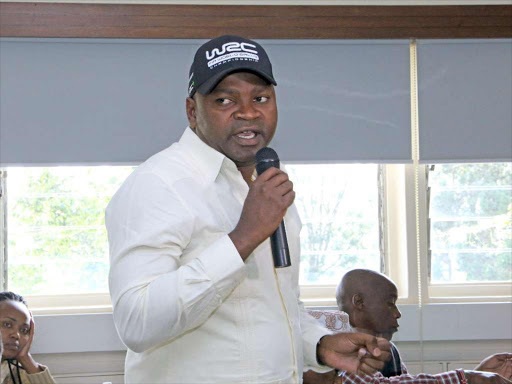 Speaking at a public rally in Matungu on Saturday, Echesa disclosed that he decided to enroll in adult school when he was appointed by President Uhuru Kenyatta as CS. Echesa further stated that he was surprised when he bumped into Joho when he began his classes at the school. "Mimi vile nilipewa kazi ya uaziri, mnajua masomo [yangu] ilikuwa chini kidogo, nikasema niende kwa gumbaru. (When I was appointed as a minister, I decided to enroll in adult school since I did not have a strong education background). "Ile gumbaru nilienda yule nilipata Joho. Kwa hiyo gumbaru, mtu mjinga wa mwhisho alikuwa Joho, (I met Joho in that school. He was the most stupid person)," he narrated. The former ODM youth winger went on to explain that Central Organisation of Trade Union(COTU) Secretary General , Francis Atwoli should not compare Joho to Ruto since the latter is a Ph.D. holder. He told Atwoli that he had no authority to speak on behalf of the Luhya community.